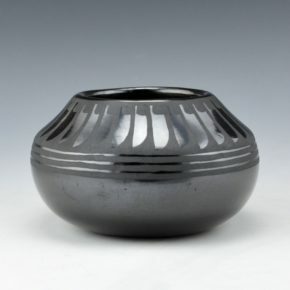 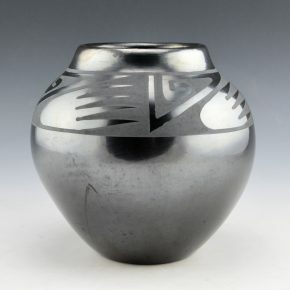 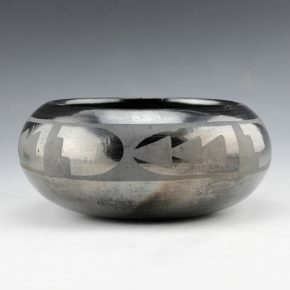 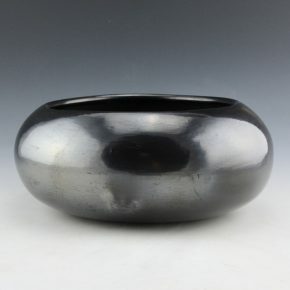 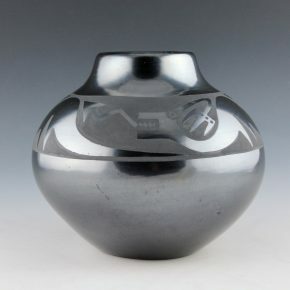 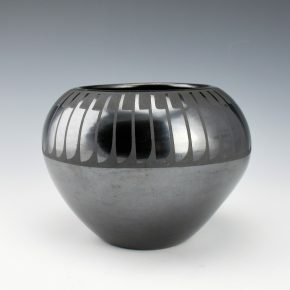 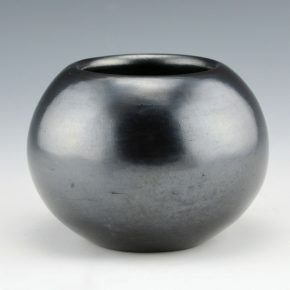 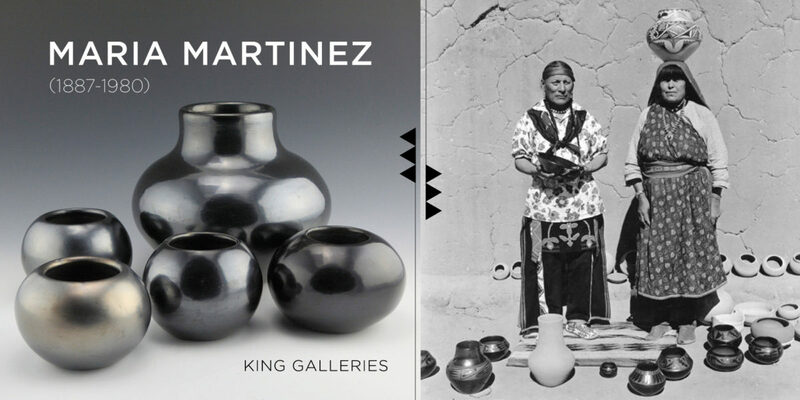 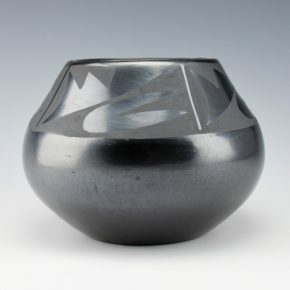 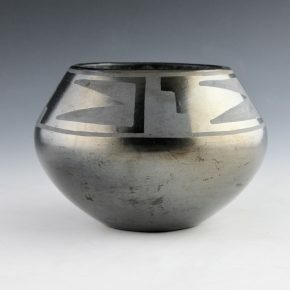 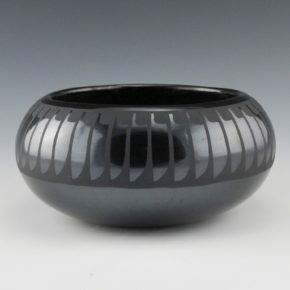 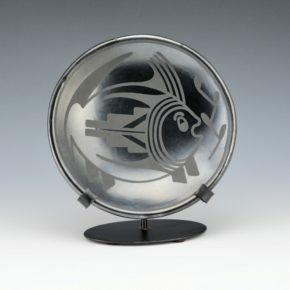 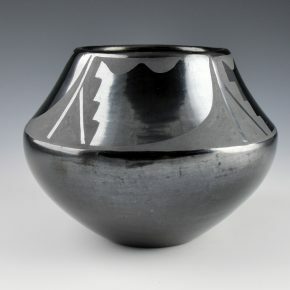 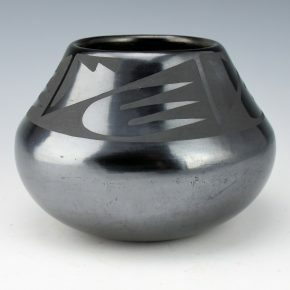 In the 1950’s Maria Martinez created a series of pieces which were simply stone polished with no design. 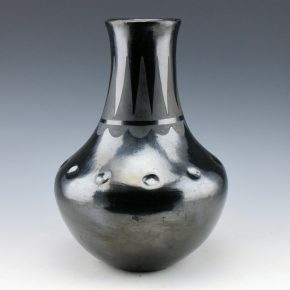 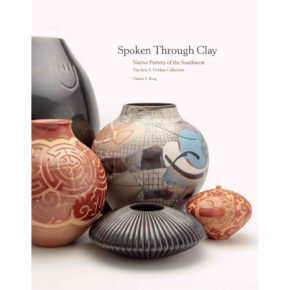 As she primarily made the pottery and polished it this was fitting with the other pieces of her career. 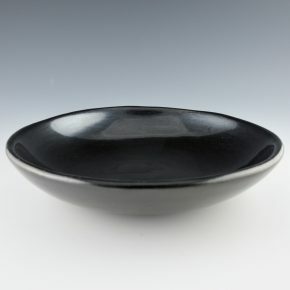 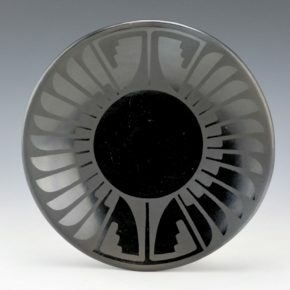 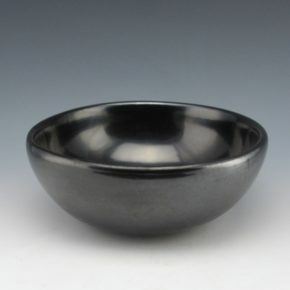 This small plate is fully polished on the front and matte on the back. 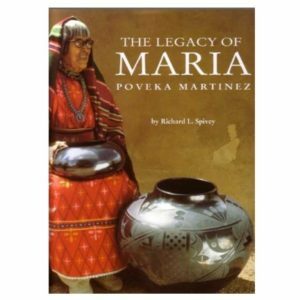 It is signed in the clay, “Maria Poveka”. 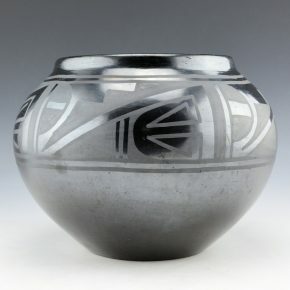 This is a combination of her Anglo and Tewa names. 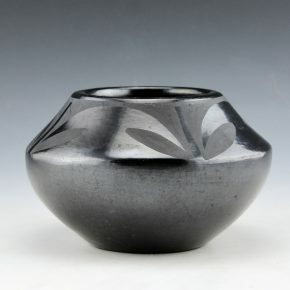 Her name, “Poveka” means “Water Lilly”. 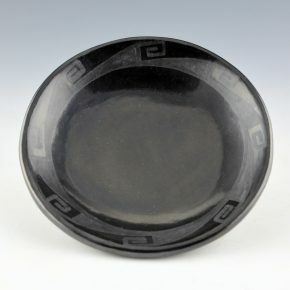 The plate is in excellent condition with no chips, cracks, restoration or repair.